HDR is one of Omaha's most recognized businesses, with about 900 employees based in the Nebraska city. Worldwide, the company has nearly 10,000 employees in more than 225 locations and specialized in engineering, architecture, environmental and construction services. The firm's new 245,000 sq.-ft. headquarters resides in Aksarben Village, for which HDR crafted the initial master plan and has conducted traffic studies. Not only does this serve as HDR's main office, but it also houses 16,000 sq.-ft. of retail space on the ground floor as well as an adjacent parking garage. This building features a unitized double-wall rain screen system with the most unique aspect being the dramatic chamfered corner. 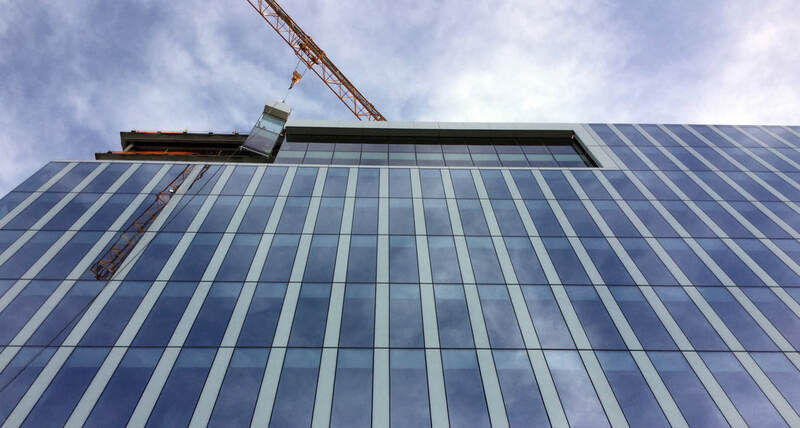 AWS partnered with both HDR and Kiewit to assist in the design, fabrication and installation of this custom curtainwall system. Teams used BIM technology and heavy collaboration to ensure accuracy and efficiency. In addition to the curtainwall, AWS also provided custom interior and exterior glass handrails.